Pediatric urologists are surgeons who can diagnose, treat, and manage children’s urinary and genital problems. Pediatric urologists are trained to focus care on the special needs of children and their parents – even on potentially sensitive and embarrassing subjects related to genitalia and voiding dysfunction. 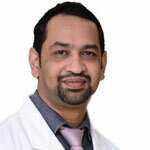 Dr. Vinit J. Shah- Dr. Vinit Shah is an experienced Urologist in Mumbai, with a magnificent career of 22 years in the field of pediatric urology. He helped several patients around the globe by rendering his survives in many renowned hospitals in India; Dr. Vinit Shah is currently working in Jaslok Hospital in Mumbai, Maharashtra. 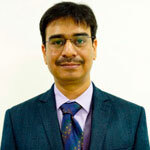 Dr. Prashant Jain- Dr. Prashant Jain is a practicing pediatric urologist in India, who is specially recommended for his expertise in pediatric urology in India. A commendable student throughout his medical career, he was a gold medalist in his training in pediatric surgery and pediatric urology. 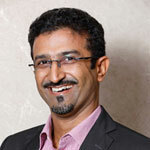 With an experience of more than 19 years, he is known for his skills in pediatric laparoscopy and pediatric urology. Dr. Prashant Jain currently is practicing at BLK Super Speciality Hospital, Delhi and is a member of Indian Association of Pediatric Surgery. 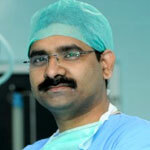 He is specialized in endoscopic, minimally invasive keyhole uro-surgery and laparoscopic surgery, urinary disorders etc. 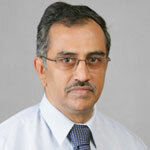 Dr. Sripathi V- Dr. Sripathi V is an eminent pediatric urologist offering an exemplary care and medical help to infants, children and adolescents, this renowned medical practitioner has earned a wide recognition over the years because of his proficiency in pediatric urology in India. With the years of medical practice Dr. Sripathi V managed to be in headlines because of his good work and compassion towards the welfare of the society. He is specialized in pediatric laparoscopic surgeries, pediatric robotic surgeries, and pediatric reconstructive surgeries. Dr. Ravindra Varma- Dr. Ravindra Varma earned a reputation as a compassionate doctor for his patients with a distinguished medical career of 23 years and achieved significant heights throughout his career. 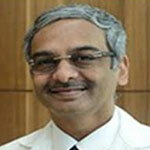 His area of expertise includes pediatric & reconstructive urology, female urology, uro-oncology and laparoscopic urology. We consulted a local doctor in Ethiopia for our Son because he was having persistent abdominal pain and he was always crying while he urinated. On consultation, the doctor suggested few tests and after the medical reports, it was disclosed that he was suffering from PUJ, a blockage of renal pelvis that functions to carrier the flow of urine to the bladder. The only option as recommended by the doctor was surgery. We were a bit apprehensive about straight away going for the surgical option because we thought it is just an early stage and oral medication might work and provide him some relief. However, after we did our research and talked to the doctors, we were convinced that undergoing surgery is the most reliable option. Now the question was searching for a good surgeon whom we could confidently trust for the surgery. 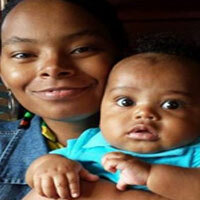 Affordability was also a concern but then the health of our son was more important. We then started browsing the web in search of the best surgeon of India and we came across IndiaLaparoscopySurgery and did a deep analysis on the team though the reviews, testimonials, and success rate. After communication and exchanging all the reports, the team suggested them the best surgeon for the laparoscopic pyeloplasty wherein a new join is created between the kidney and ureter. Through telephonic conversations, all the dates were fixed and procedures cleared so that coming to India becomes easy. As discussed, we travelled to India and were surprised to see that all the accommodation, travel, and treatment arrangements were done effectively. On the day of surgery, the surgery was done and we were a bit nervous. All the associates there made us feel comfortable and then came the good news that the surgery was successful. The doctor and all his staff members were very helpful throughout the procedure. The doctor has always been available on calls whenever we needed guidance, which really assured us of speedy recovery. Now it has been more than 5 months and our little Negasi is back to all his routine activities. Are you looking for affordable cost of Pediatric Urology in Top Hospitals of India?